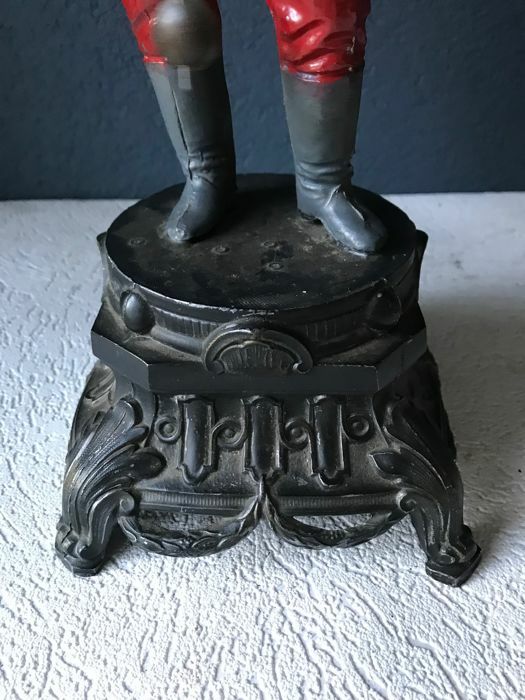 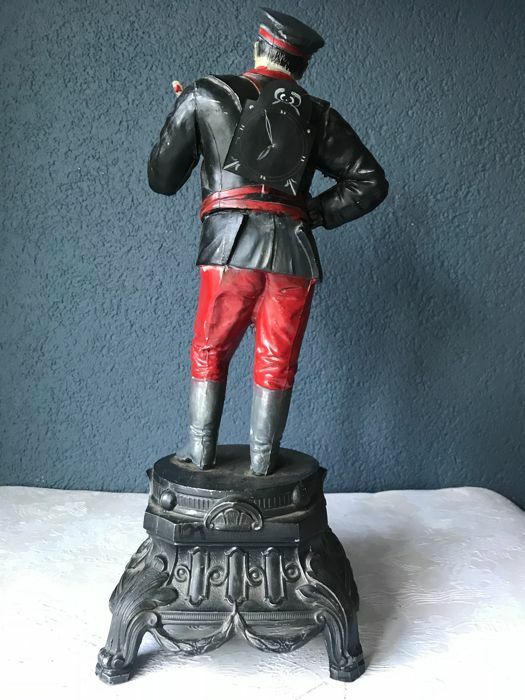 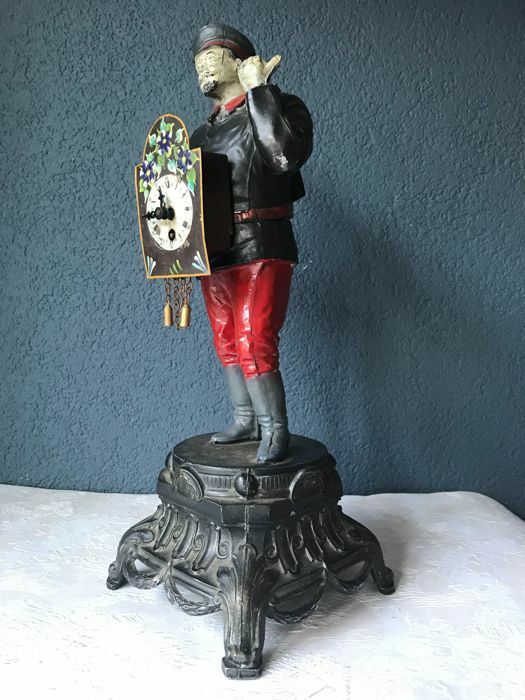 Wonderful statue of a cast iron clock man from the 1940/1950 period. 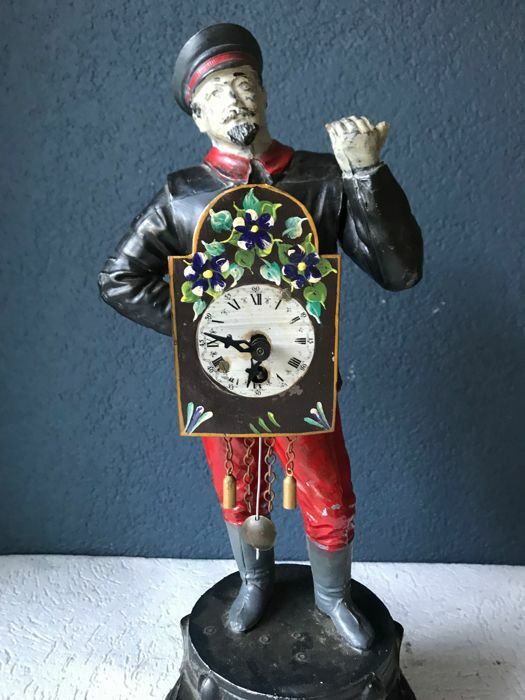 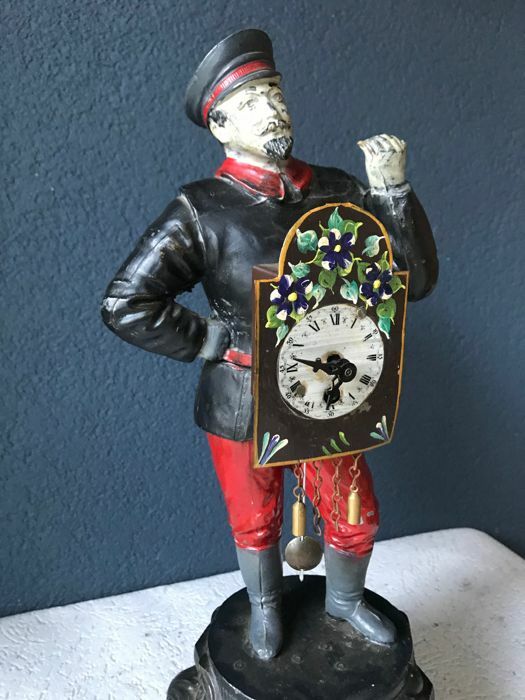 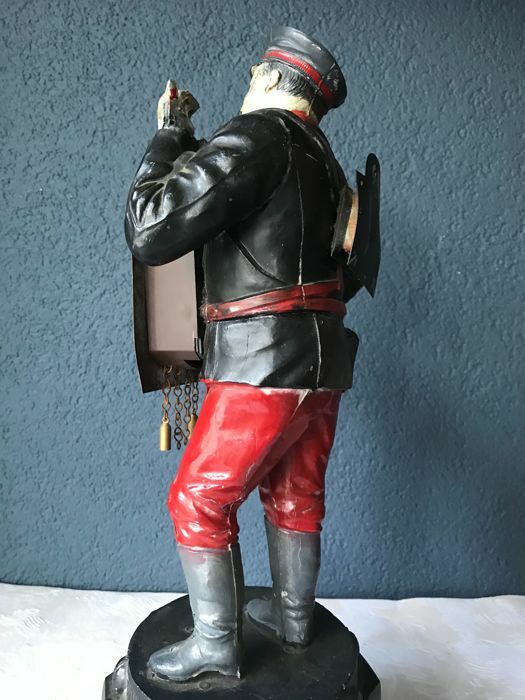 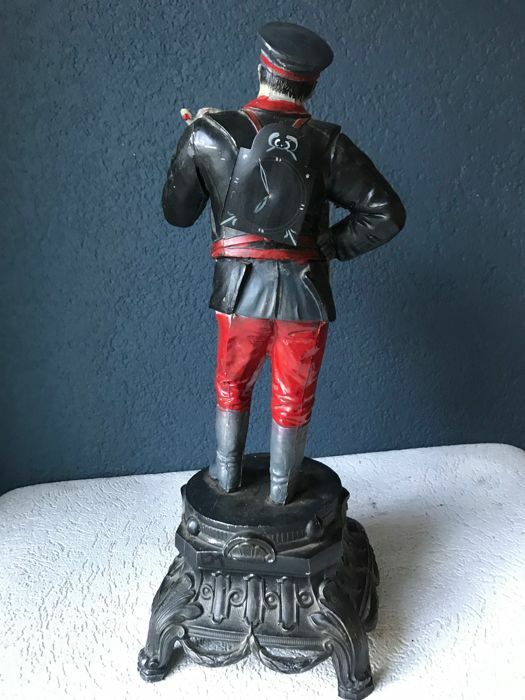 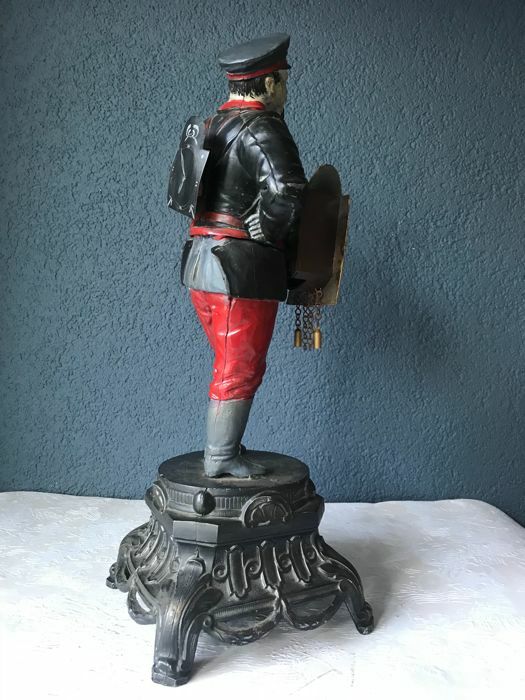 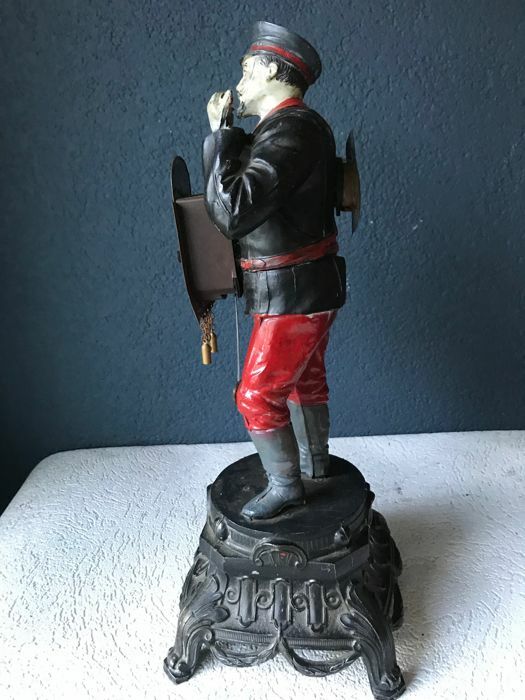 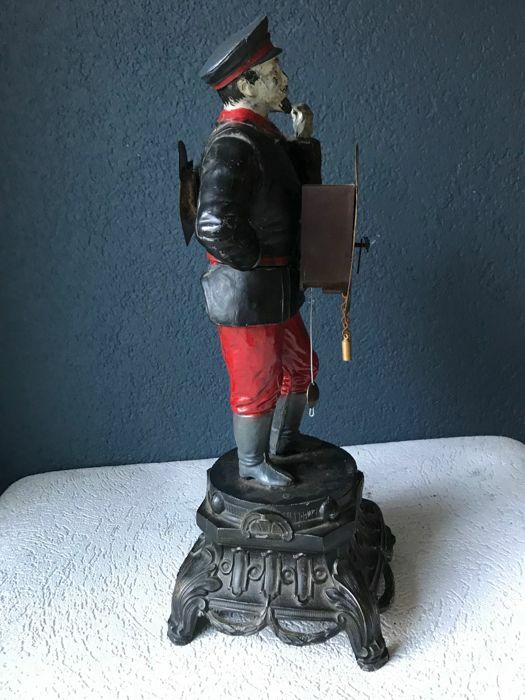 This charming, decorative clock represents a clock man from the 19th century, when clocks were still sold door to door by travelling clock vendors. 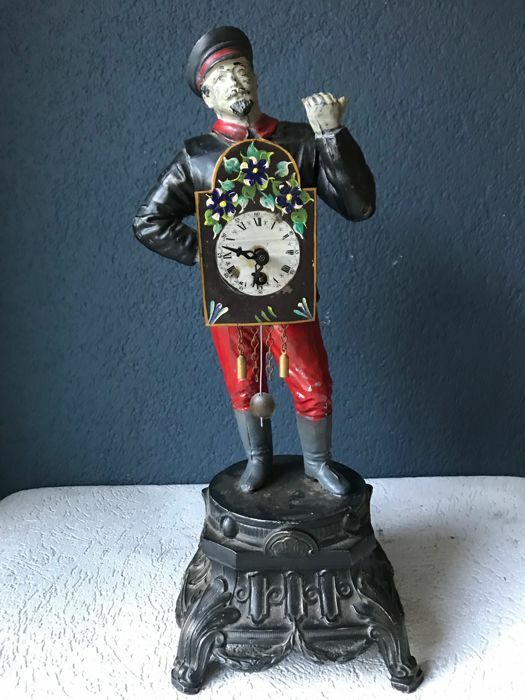 He wears a small pendulum clock on his chest and a second, decorative clock on his back. 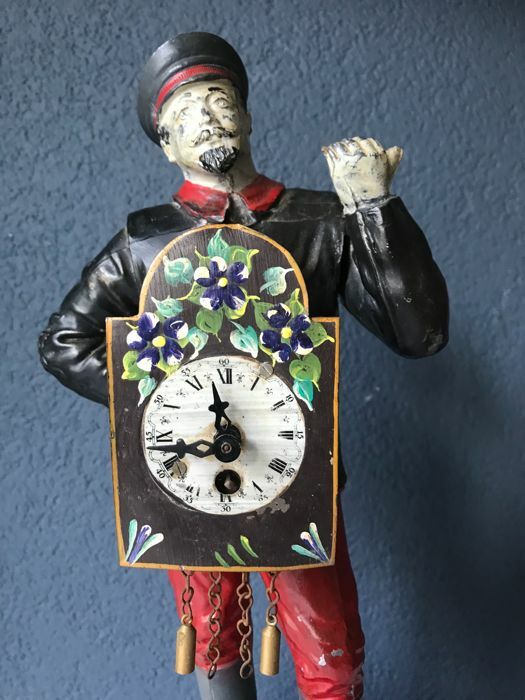 The clock does not run smoothly. 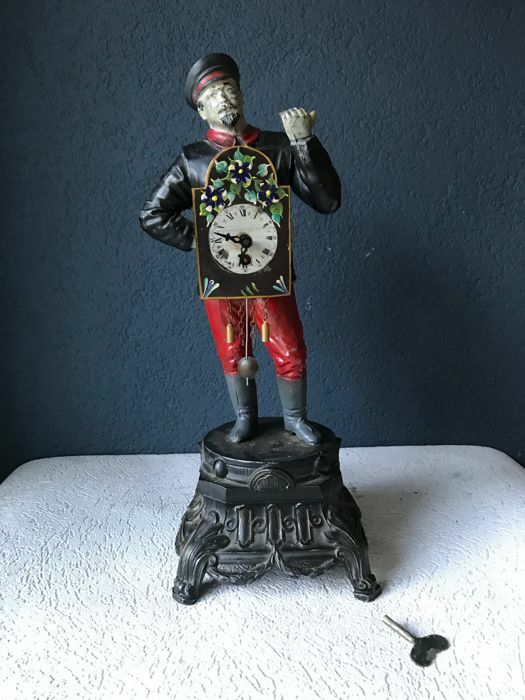 You can see the weights underneath the dial. 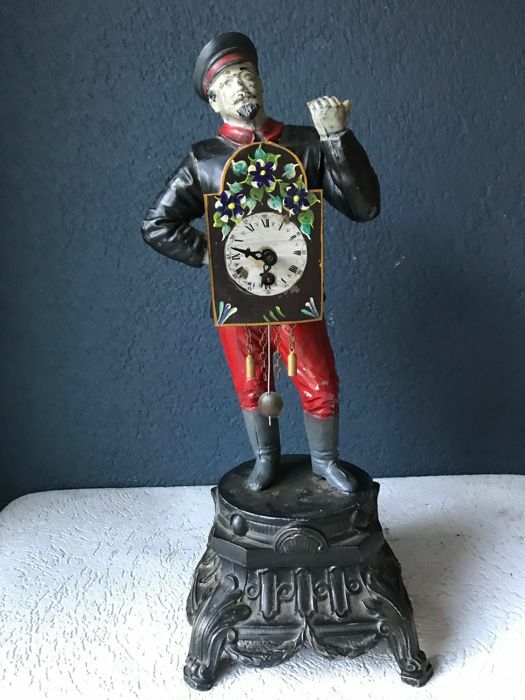 The clock comes with a pendulum (of a later date) and a key. 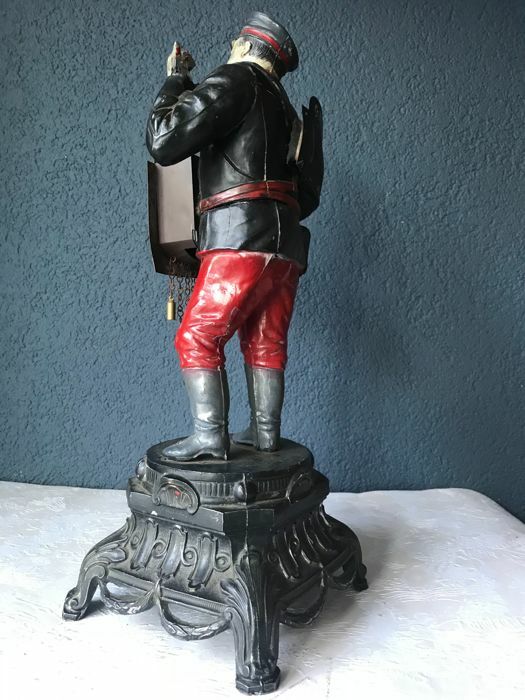 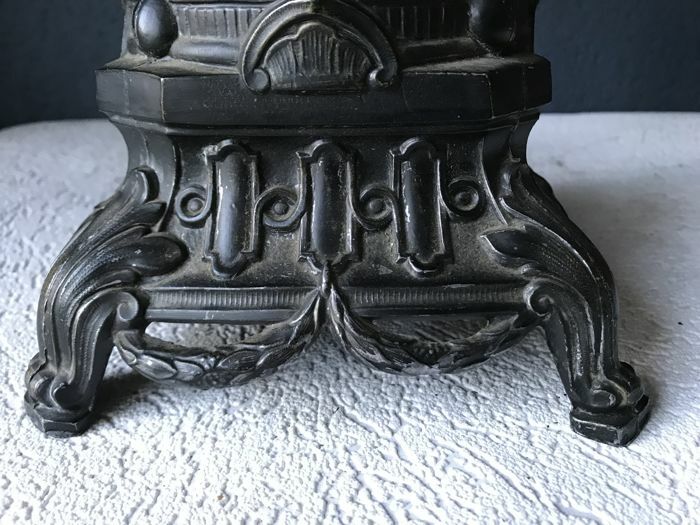 It is standing on a beautifully tooled square base. 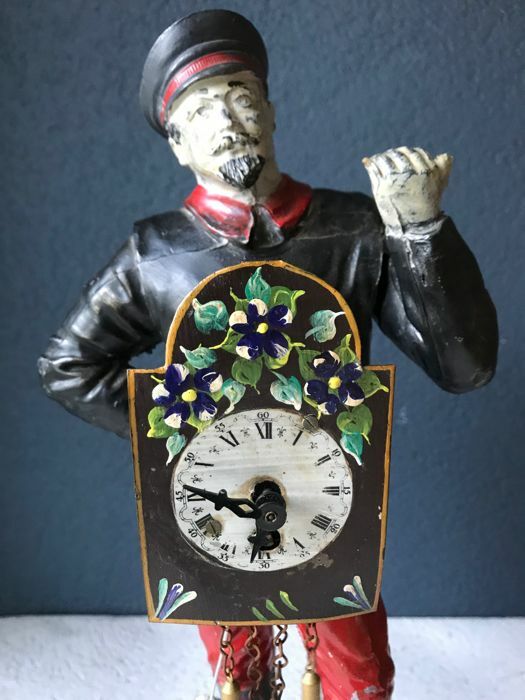 The clock will be packaged with care and shipped by registered post.